It’s not news that we spent the holiday in Johnsburg NY. We do it every year. On other hand, the extreme weather this past week and the great skiing were noteworthy. The intense cold —especially for those of us with kids—was near the limit of what we could handle on a windy and open lift. For us skiing in the trees was a solution. 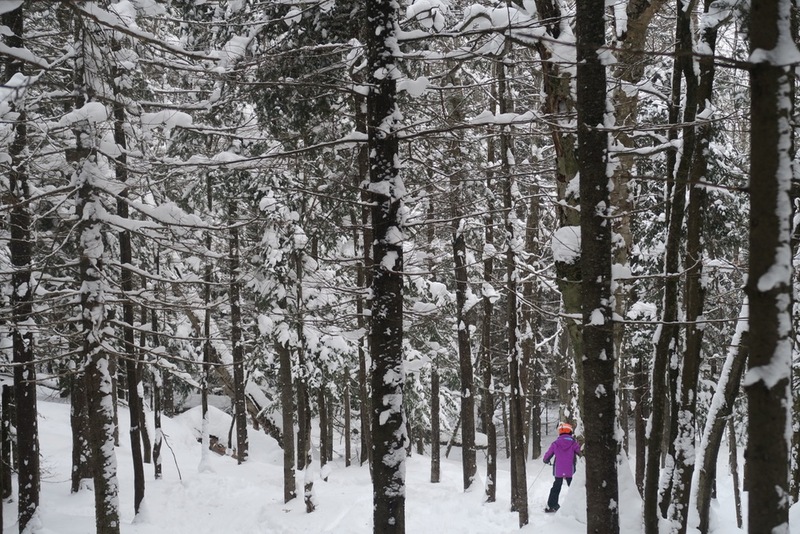 At Gore and in our woods, the trees were a haven from wind offering exercise, warmth and pow. But I’m jumping ahead. First, the snow. In the southern Adirondacks, snow fell right before the holiday, with a nice mix of precip types. On December 22 we had 8 inches of new snow, followed by 1/2 inch of cold rain on the next day. Then, starting on Christmas Day, we got another ten inches of new snow. The whole thing consolidated quite nicely. The “crust” was buried deep and hardly noticeable when floating through the trees. We were in go-anywhere mode, at least in theory. 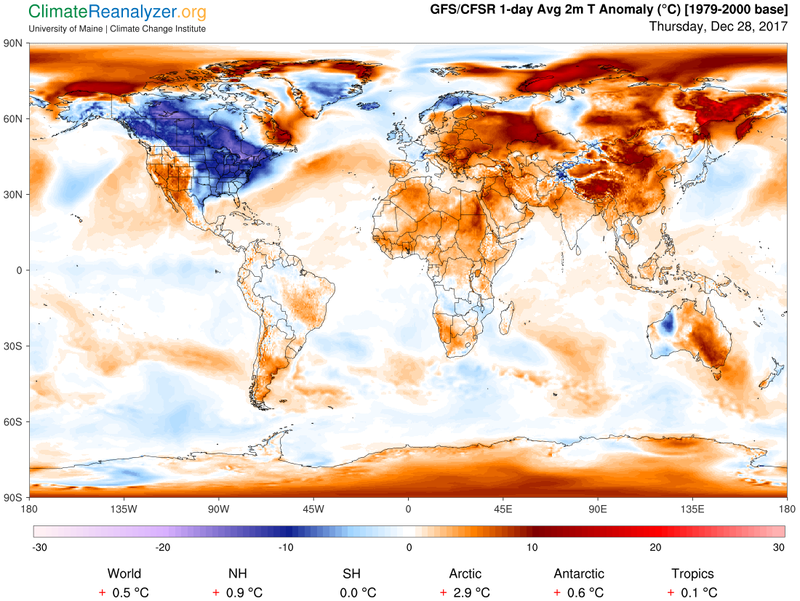 The rub was, that like every other mountain in the northeast, Gore was in the grip of a brutally cold airmass. For a two days the upper mountain lifts didn’t spin as any lift stoppage presented too great a risk. 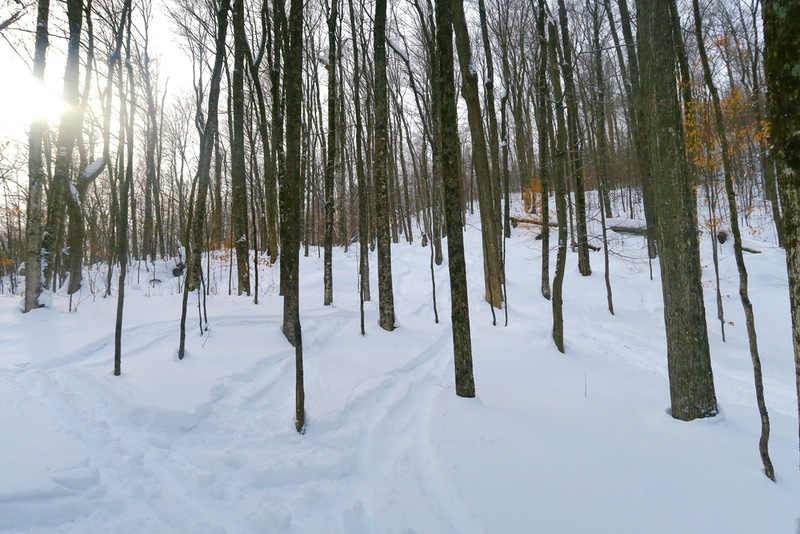 After we arrived at the cabin on Tuesday night, I’d heard a rumor; a renegade snowshoer had plans to track up both the yellow and red trails the next day. Not one to be beaten to the goods, I woke just before dawn on Wednesday to set a proper ski track on the trails. Around 11am, Neve and I headed to the mountain together. Without Gore’s venerable gondola, there would have been very little skiing on Wednesday or Thursday. 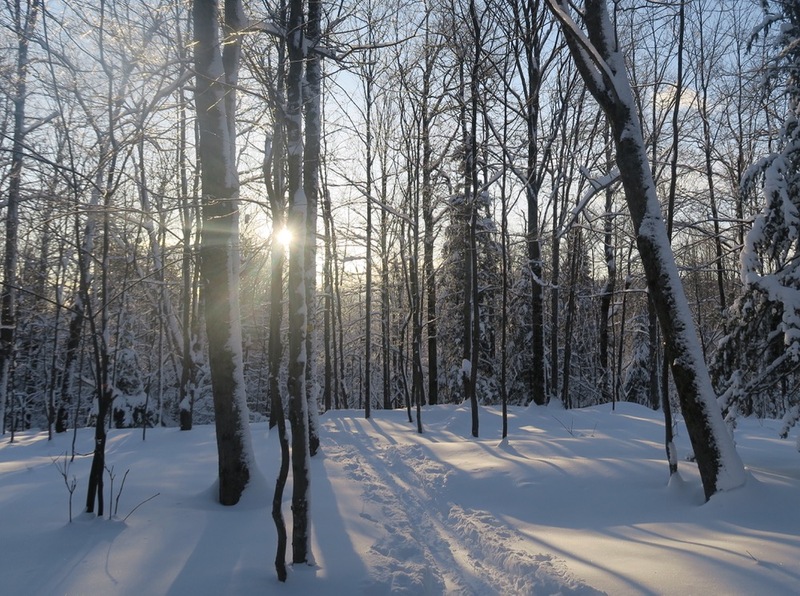 Snow conditions were excellent on the trails. It was easy, and dangerously cold, to let your skis run. 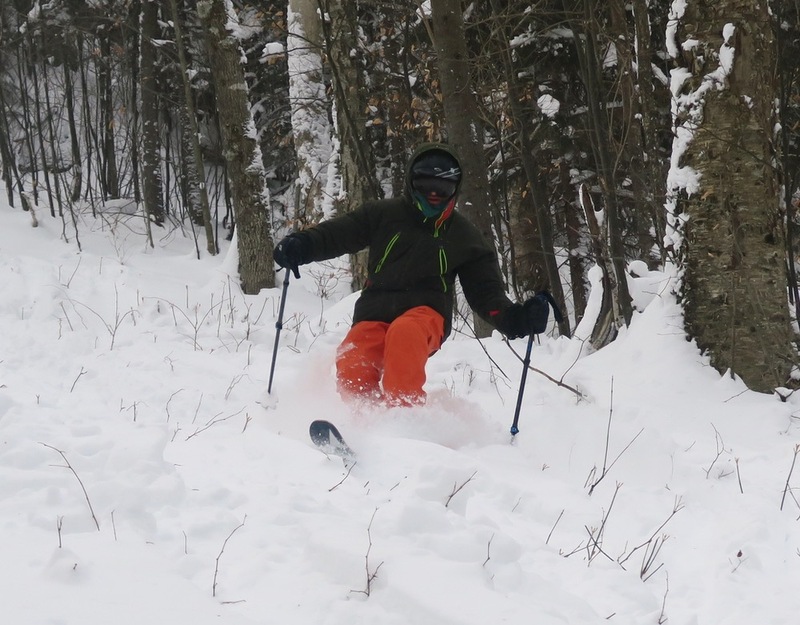 On Wednesday we found good snow across the entire East Side and especially under the Sunway chair. On Thursday it was even colder, with the National Weather Service issuing a Wind Chill Advisory for a huge section of New York. We explored the steepest terrain we could find off the lifts that were running. One thing was sure, with the super cold temps, the great snow was well preserved. 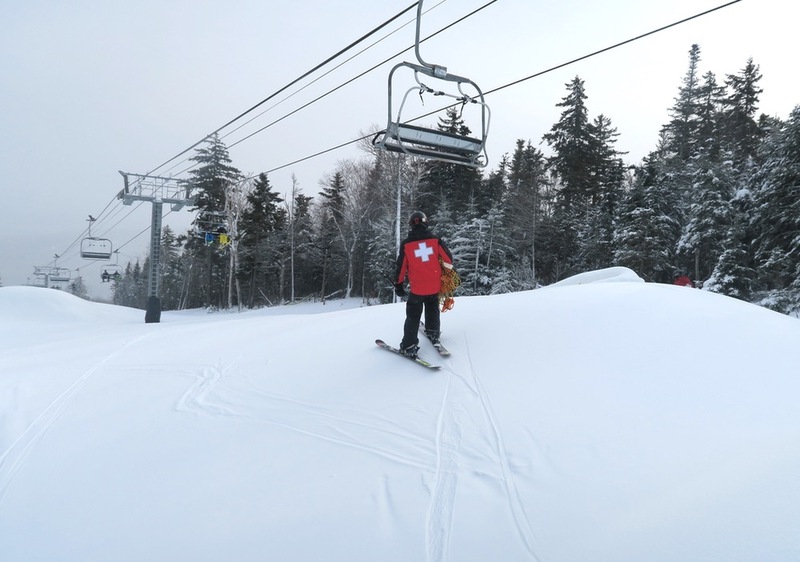 As additional lifts came on line, there were new opportunities to ski untracked snow. On Friday the North Chair was spinning. Highlights for me were Tahawas and Twister glades and I lapped them repeatedly. Saturday we had a very busy day. I’d scheduled Neve for a two-hour private lesson with Erin Dee at noon. My plan was to ski our trails in the morning, then take Neve into town for breakfast, and get to Gore in time for one run before her lesson. During the lesson I was on a mission: to get as many laps on Burnt Ridge as is possible in two hours. I knew that riding the Adirondack Express and banging through the hard hit Twister Glades would make me cold and cost me time. Instead I made a b-line for the Cedars Traverse, skating hard to build warmth for the cold lift ride ahead. Over the last 3-5 years many of my ski best days have been focused on Burnt Ridge. The lower angle trees are are perfect for me. This window was likely to be my only shot at those trees on this trip north and I wanted to make the most of it. At the top of the lift I skated over to the “CLOSED” banner that was blocking entrance to Sagamore. Patrol was on the scene as they had several obstacles to mark. The tops of the newly minted snow whales were very close to the liftline. 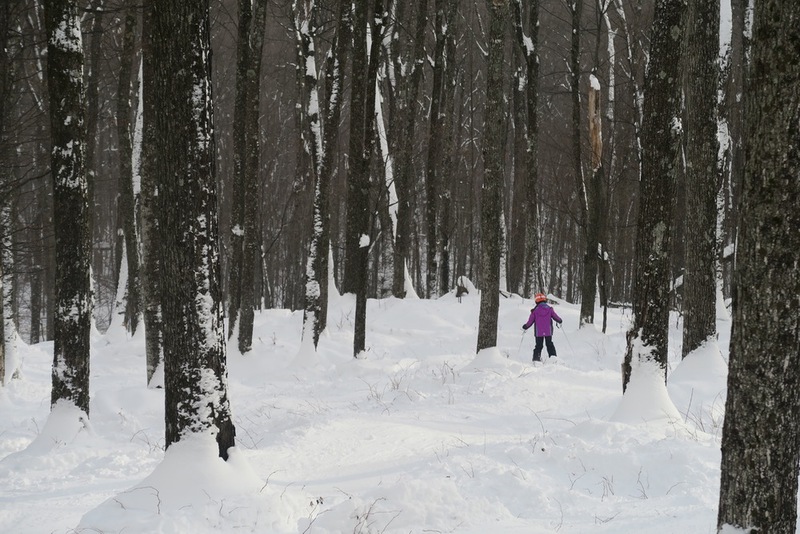 Burnt Ridge’s twin tree runs—Abenaki and Barkeater—run roughly parallel on their upper half and connect or touch about halfway down. I dropped into Abenaki and crossed over to Barkeater at the mid-point. Lower Barkeater is the definition of my zone. I can ski there all day long. His response was also a question. “You want to ski Boreas don’t you? Why yes kind sir, yes I do. He said “Follow me.” With all the logistics required to stage a weeklong family ski vacation in subzero temps, I was somehow able to be in the right place at precisely the right moment. Heading down the trail, I was grateful for the chance. I stayed behind patrol, applying the most literal possible interpretation to the words “follow me.” The snow was the silkiest gunpow possible blown at temperatures well below zero. As I followed patrol, I was meadow skipping and thinking about the grand prize just ahead. Patrol waved me past and I dropped into Boreas. Maybe 5 or 6 skiers had been through before me, but I had no trouble stringing together long stretches of untracked. The floatiest thing to do was to lean back just a bit, making gentle parallel turns aiming for pillows and small obstacles to get air. I was all alone and I was laughing out loud. Burnt Ridge is a unique pod in New York. 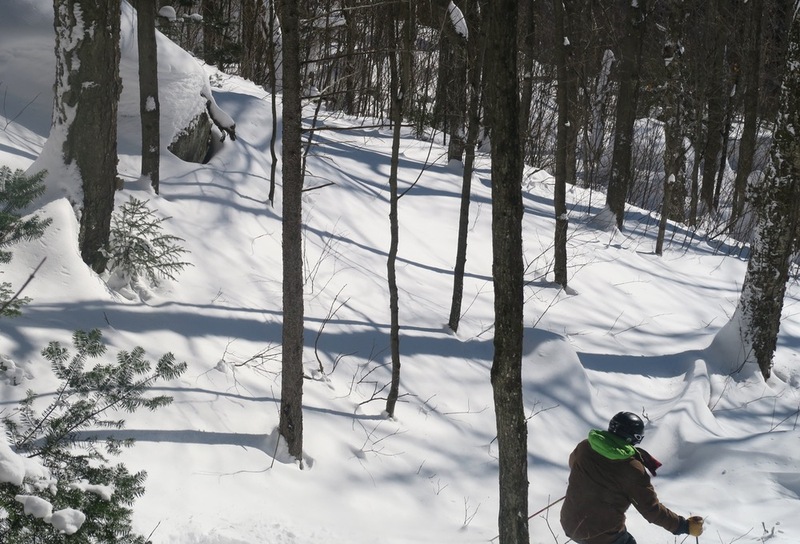 It’s got a legitimate 1400′ vert with two trails and four glades served by a beautiful quad. Like those before me who loved the Ridge as sidecountry, I wish it could live on in it’s current form forever, but that’ s probably not realistic. I’m guessing we know that what Bone is implying when he talks about improving the connectivity between Gore, BR and the Ski Bowl. The masterplan is pretty specific about trails that are planned within the 40-mile constitutional limit for Gore. It calls for a trail that will replace Abenaki or Barkeater. Come what may, I’m a huge Gore fan, and I plan to ski the trees as long as we both shall live. It’ll be different, and still great. Happy New Year! Didn’t realize till later that they were letting people onto Boris if you “asked patrol nicely”. 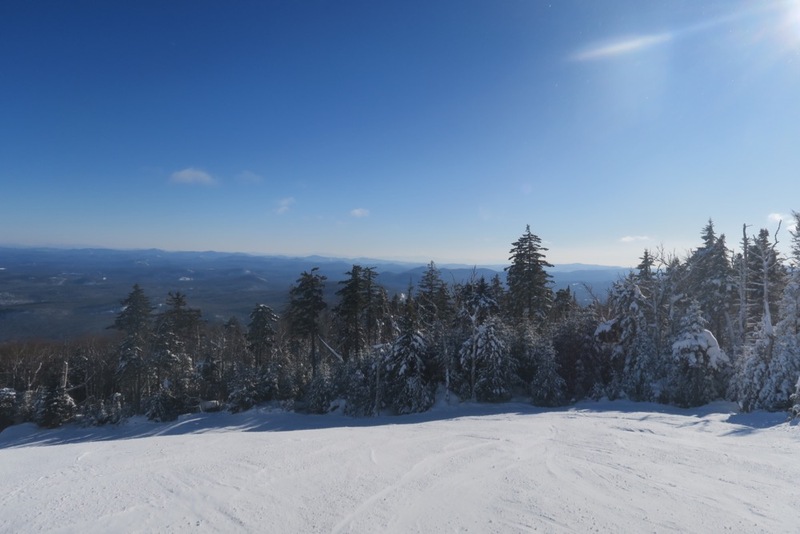 Hit multiple runs through Abenaki and Cirque tho early in the day when there were only a handful of tracks. Easily the best day of this season. So much fun I am still smiling. The cold is around for awhile and should keep the snow nice and fluffy. Here’s to 2018. Looks like another great holiday week, Harv. With it being that cold for that long, did you feel like you acclimated eventually or did it still feel as cold at the end? I always ask. You never know what can come out of it. (It might have been my third ask that got me in.) I agree that Saturday was a day to remember. Hard to say if I got used to the cold. It’s so psychological for me. Back at work and 15 degrees feels chilly. OK yea there was some rain. In my past I was always down on rain, but I’ve come around to the idea that early season, if it is not too heavy or warm, it can be a plus. It certainly was this time. Thanks for saving me from having to write my own epic 2 week skiing adventure from my time at Gore during the 2nd half of December! You certainly summed up the post Christmas timeframe to a tee with your great blogging style. Also, thanks for yet another great pic from our Tahawas Glade prelude! The pants aren’t exactly the greatest for undercover exploring.